I try most of the time to maintain my weight or drop a couple pounds when I get too mcdonalds happy. Well, today was definitely not a healthy day. 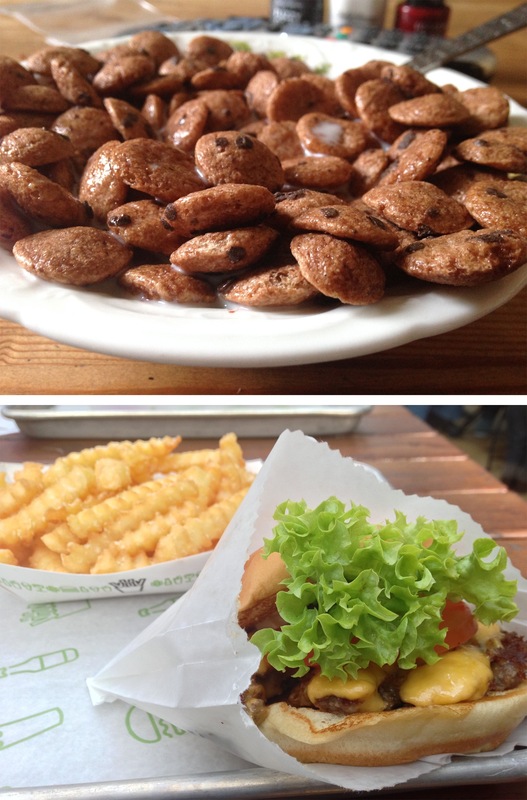 It stared off with cookie crisp cereal (it’s amazing), followed by a bike ride into London to try out shake shack! That was lush. It’s quite expensive but I’d say worth it as a treat once in a while. But I won’t be ditching my Big Macs anytime soon, that’s for sure!